Yesterday we shot a wedding in Ocean Coral & Turquesa Resort. 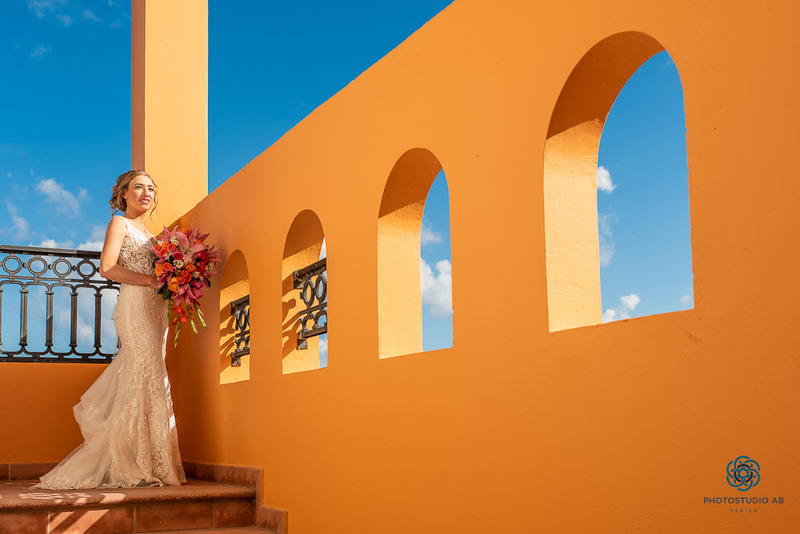 We was looking for a great spot for the Bride photo shooting, orange and Blue sky. Mexican Style and Color!! !